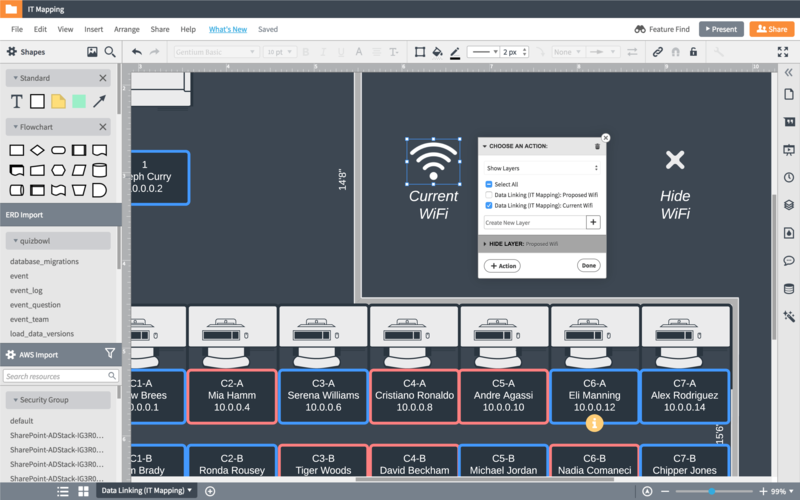 See how Lucidchart can help you build, optimize, and maintain your infrastructure. In Lucidchart, you can easily visualize the current state of your network and plan out your future state. 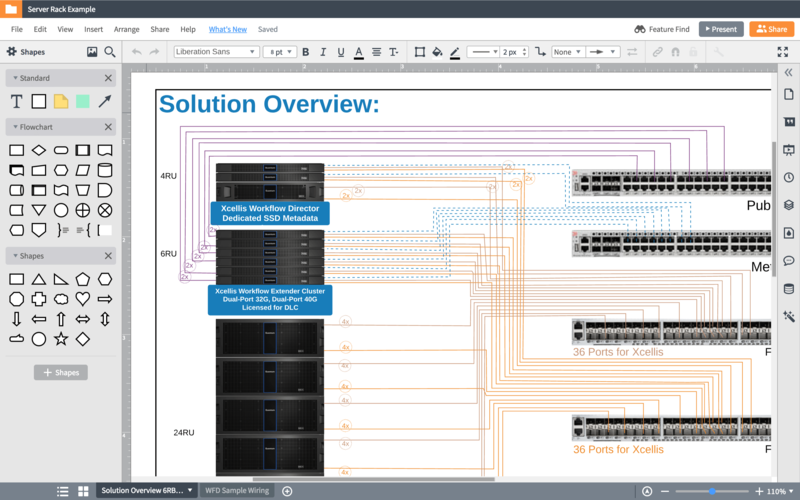 With our Visio stencil import and extensive shape libraries, including Cisco network and server rack shapes, you can create detailed visuals to design and document your network setup. If your network is down, your organization can’t accomplish its goal. Visualize your physical network to understand where the source of the problem may lie and to start identifying potential solutions. Diagrams help display Wi-Fi coverage mapping, the location of phones, computers, and other devices, a layout of the server rack, etc. 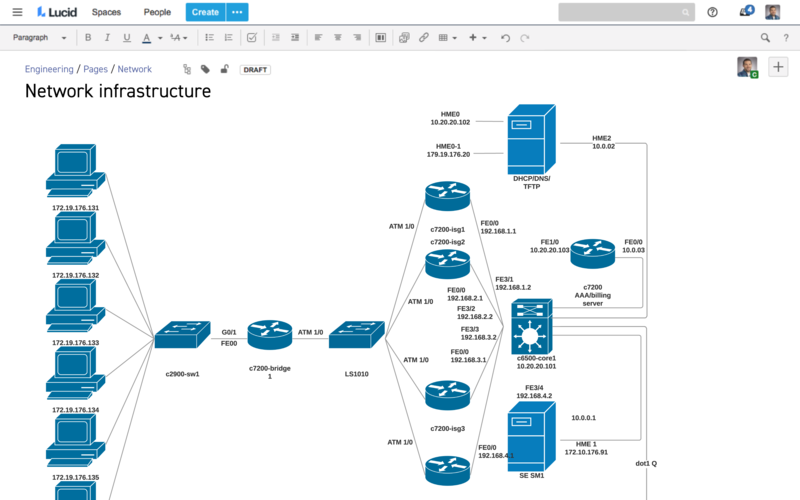 Build diagrams to ensure that you have set up your network to meet PCI, ISO, SOC 2, GPDR, and other security standards and then share these visuals with other stakeholders to demonstrate compliance. As you train new hires or help employees transition teams, using visuals makes it easier for them to understand your network and systems. 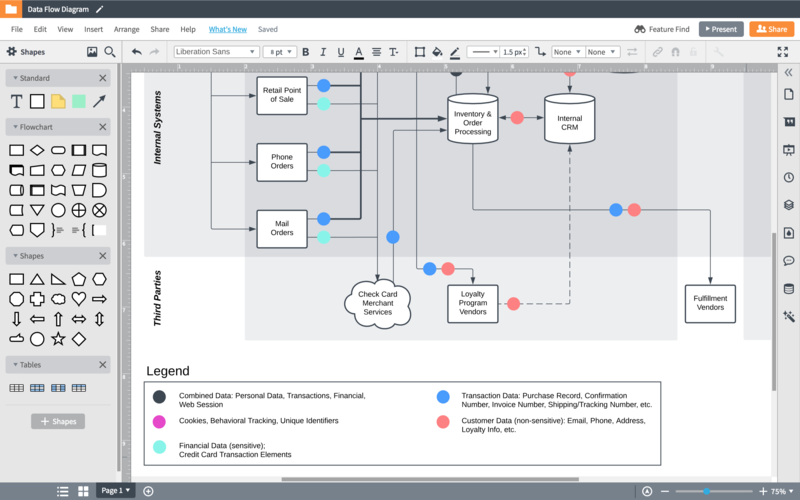 Build physical and logical network diagrams in Lucidchart to help create clarity faster. I use Lucidchart to create network diagram to discover, design, and document the setup of each office for faster planning and support. The integration with Confluence makes it easy to embed network diagrams into the applicable wiki for each office.